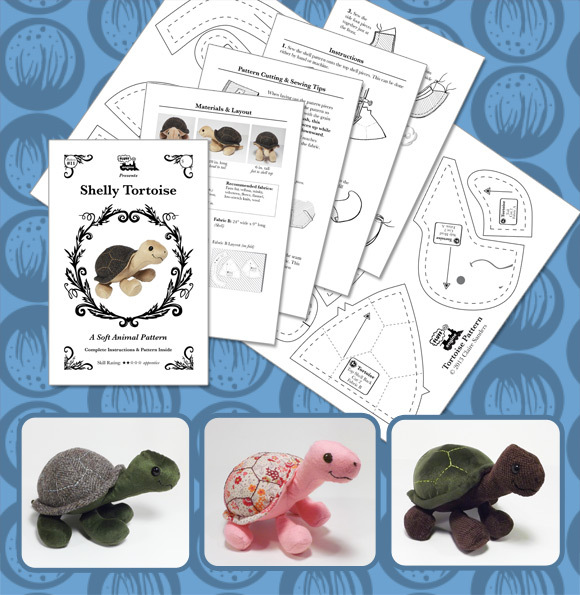 I finally finished the Shelly Tortoise pattern, it's available for sale in my store and in my etsy shop. I currently only have one easy/beginner pattern with Owlsworth the Owl, and I was trying to make another pattern with that skill rating. It's tough for me to make a nicely shaped toy that isn't too complicated to construct. The tortoise isn't difficult and there aren't many pieces but with the legs you do have to sew through several layers of fabric which can be tough on a sewing machine. I originally made the tortoise at a smaller size but decided to scale up the final pattern; the larger pieces are easier to handle and put together.